* Lesson plan objective and assessment can be adapted to use this activity with mobile infants or toddlers. Find a comfortable spot in the classroom to sing to the child. After singing with the child, you can begin the memory craft. 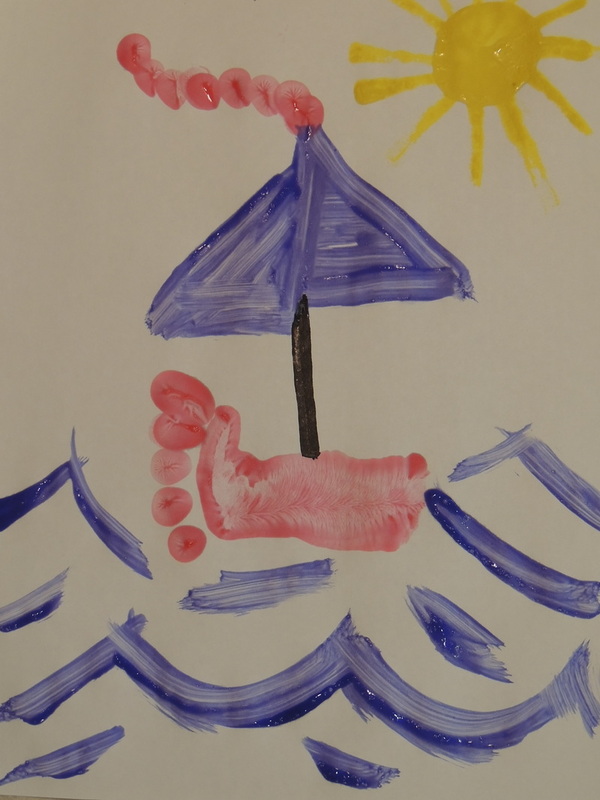 Paint the child’s foot and press it down on the paper. This will act as the base of the boat. Add a sail, sun and water to the picture using the paintbrush. Allow to dry. Display the boats around the classroom.